About a month or so ago Smile Brilliant reached out to me and gifted me a bleaching kit to try out so I could share with you guys! I was skeptical because everyone and their mother has a teeth whitening system they're trying to sell. Heck, even the tanning salon Sun Tan City offers "bleaching" with a UV light and I laugh at it every time I go in for a spray tan.. total money racket. BUT I was also excited because I've been a dental hygienist for the last 4 years (and counting) so I felt like I could offer an extremely thorough review for my readers! Long story short, I checked their website out and they seemed legit! Well.. spoiler alert, they're totally legit and I would recommend this product to anyone! First of all, this professional teeth whitening system is a fantastic value compared to most dental offices, including the office where I work. The kit that I have is the $139 T3 Sensitive Kit. It includes the material to make your impressions (you even have extra in case you mess one up), your set of trays made specifically to fit your teeth, a pre-paid bubble envelope to mail your impressions off, 3 syringes of whitening gel, and 3 syringes of desensitizing gel. I'm super weird and I kinda like having my impressions taken BUT I know I'm part of the minority with that. Lucky for you, it's super easy to mix this impression material and take them on yourself, no gagging included! If the extra set of impression material wasn't enough and you need another shot at it, just contact Smile Brilliant and they'll send you more! 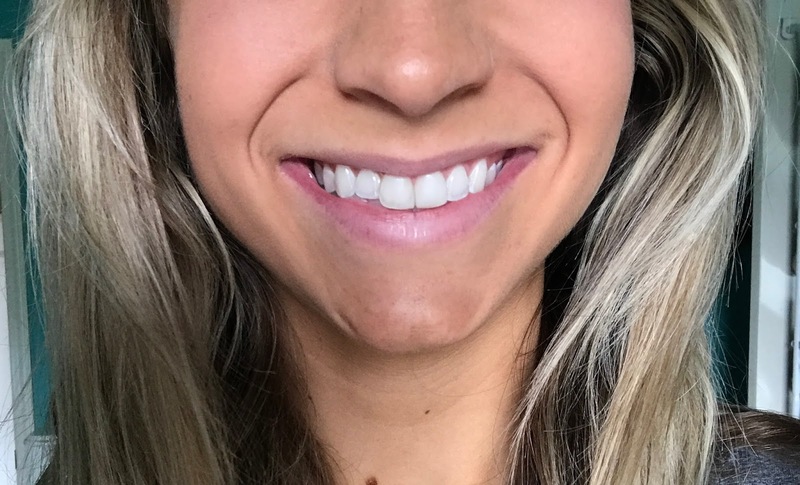 After you've sent your impressions off and you receive your custom fitted teeth whitening trays, let the whitening begin. I was honestly kinda scared of the 22% Carbamide Peroxide bleach because usually the higher the percentage of bleach, the more sensitive you may become, and it can also burn your gums. Well, I never had any discomfort or burning gums! The good thing about Carbamide Peroxide is that it's not as strong as Hydrogen Peroxide but its working time is longer. That means you can use a higher percentage of Carbamide Peroxide for a longer period of time and still be comfortable. Instructions say you can bleach 45 minutes up to an hour and a half but, I usually just did the 45 minutes, mostly because I just didn't have the patience to leave them in much longer. Sensitivity with bleaching is super common and normal, and it's also temporary. Thankfully I don't have very sensitive teeth, but so many of my patients do, and the desensitizing gel is a dream! I got slightly sensitive to air and cold water after 4 or 5 sessions of bleaching so I started using the gel. All you do is rinse your trays after you are finished bleaching, put the gel in there, and wear for 15 minutes immediately after you've bleached. I could tell a major improvement in sensitivity after one use! When putting the bleach and the desensitizing gel in my trays, I preferred putting little dots on each tooth rather than a ribbon like the instructions say. I just felt it spreads more evenly this way. I feel like my before & after pictures are misleading, and that's my fault. I took my before pictures right in front of a window so I think the way the light was coming in made them look even whiter than they were. I also only did about 10 sessions of bleaching because I have bonding material on my two front teeth which WON'T bleach. I didn't want my front teeth not to blend because my natural teeth got too white. I can absolutely tell a difference though, especially between my teeth. 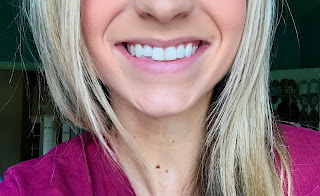 You might have read on my favorite dental products post that I use Crest HD toothpaste, and this goes a long way, especially for a coffee and tea drinker like me. But, I still needed some extra whitening in some areas, and Smile Brilliant got the job done. Overall, Smile Brilliant works, it's easy to use, and I had minimal sensitivity (which the desensitizing gel took care of). Feel free to ask me any questions! Enter HERE to win your own T3 Sensitive bleaching kit, worth $139! Use code Luxebealady15 for $15 OFF your kit when you order! Thank you to Smile Brilliant for gifting me this kit! This review was my 100% total honest opinion!